In the most interesting and anticipated set of events, Italian Motor1.com arranged a competition between the best-selling electric vehicles (EV’s) in the country to test the overall efficiency of these supermodels with zero-emissions. 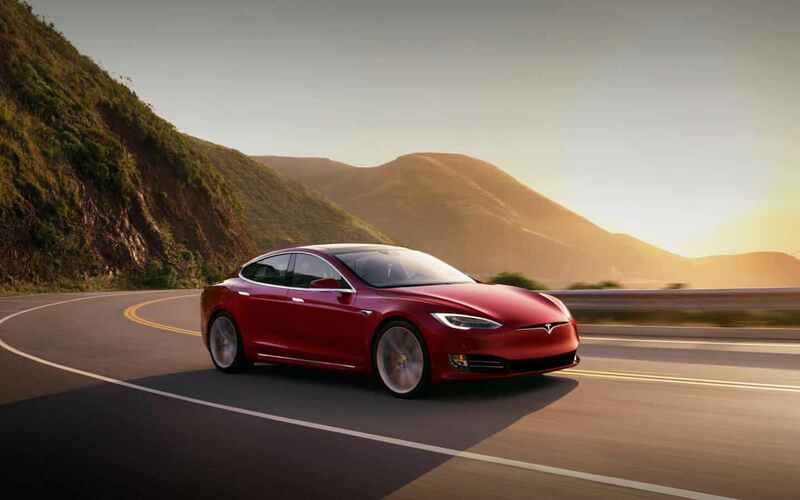 In the current era, where electric vehicles with zero-emissions are gradually taking over the conventional combustion engine around the world, it is of great importance to know what output does an electric vehicle generate. The world is moving towards eco-friendly vehicles to reduce emissions from the combustion engines that pollute the environment to a great deal. Some auto giants around the world have already manufactured their super concept models as well as practical cars that run on electricity upon charging. The question of attention has been how far these electric vehicles can go on a single charge? Of course, all the electric vehicles from different automobile companies have their range and capacity as specified by the manufacturer. 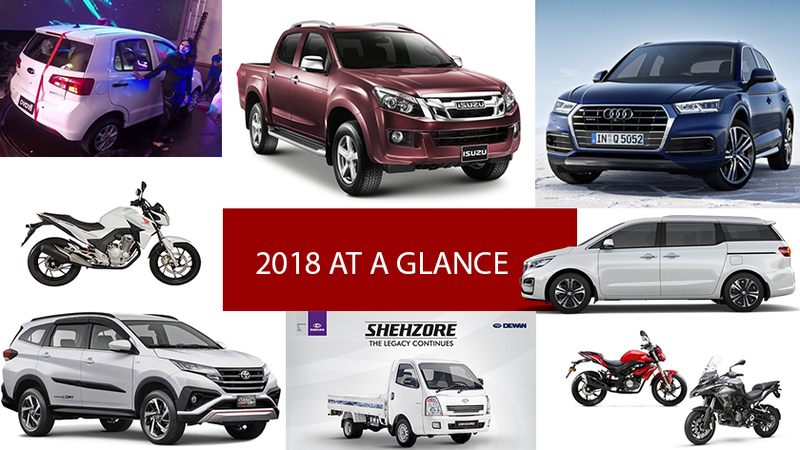 However, the practical numbers do vary with the ones specified by the company regarding driving habits and type of terrain you chose to drive. To find out the extent of the capability of these electric vehicles, Motor1.com Italy decided to hold a competition between the best-selling EV’s of the country. The competition kicked off with the top 6 zero-emission cars in Italy for testing their range and efficiency. The cars line-up started with the compact cars segment including Smart EQ Fortwo that has the least battery capacity along with Renault Zoe R110 and Nissan Leaf. However, Hyundai Kona, Tesla Model S and Jaguar I-Pace completed the line-up in the SUV and electric crossover segment. It is pertinent to mention here that the above-selected models of cars are the best-selling electric vehicles in Italy. The aim was to drive all these vehicles upon full charge until the battery of each completely runs out of charge. The testing will provide a brief comparison between the electric vehicles to see how far each can go on a single battery charge. The comparison will also make it easier for us to find out the consumption of each electric vehicle. The real autonomy and efficiency of these cars will be tested, which will reveal the parameters such as kWh/100 km and km/kWh of each vehicle. These parameters are not quite familiar to the people in Pakistan, but once the electric vehicles take over the automobile world, they are going to be the main key towards understanding the capacity of each vehicle. To make it even interesting, the route selected for the testing comprised of a long mixed journey inside the city, on highway and countryside as well. This particular route of driving is 150 km long outside Rome which has a breakdown structure of 45% city driving, 45% extra-urban and the remaining 10% on a highway in a loop circuit. The carefully selected route best defines the journey from home to work for any particular person. After each vehicle was driven on this route with a fully charged battery, the first one to run out of charge was Smart EQ Fortwo after covering a distance of 124 km but without any surprises as it has the least battery capacity. The next one was Nissan Leaf with a range of 211 km followed by Renault Zoe R110 after covering 276 km. 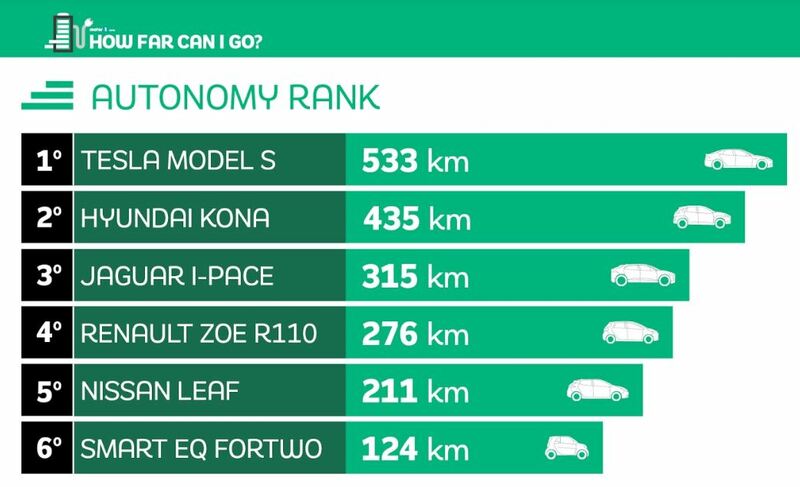 Jaguar I-Pace held the 3rd position with 315 km whereas Tesla Model S outclassed Hyundai Kona that achieved 435 km, by going as far as 533 km before completely running out of charge. Regarding covering maximum distance on a single battery charge, Tesla Model S stood out from the rest before it came down to measuring efficiency where Hyundai Kona turned out to be the unexpected winner of the event. 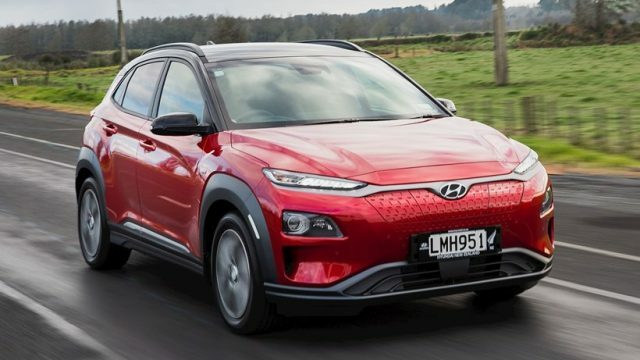 The Korean Hyundai Kona knows exactly how to minimize the consumption of electricity without sacrificing on performance. 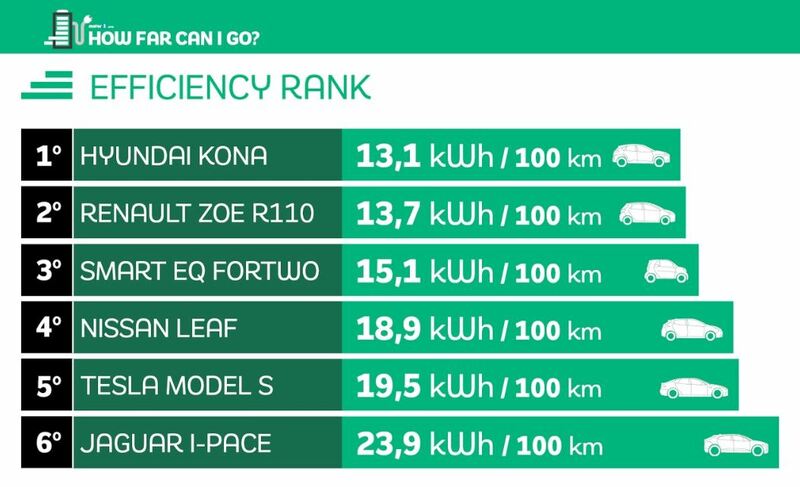 Regarding the “kWh/100 km parameter”, it consumed 13.1 kWh/100 km which is least by any of the six vehicles participating in the testing. Renault Zoe R110 came 2nd with 13.7 kWh/100 km followed by Smart EQ Fortwo in the 3rd place that consumed 15.1 kWh/100 km. The testing also revealed an interesting fact that shows the real autonomy of each vehicle which is less than the one declared by the manufacturers. Each vehicle covered less distance than the hypothetical value before running out of charge completely. If you have any suggestions, let us know in the comments section below. Stay tuned to PakWheels.com for exciting automobile related stories.